This is not the first time I have read the Neal’s books, and much like their previous years’ books, this one did not disappoint. With extensive details and photos that immerse the reader into the magic, you will find yourself turning page after page! 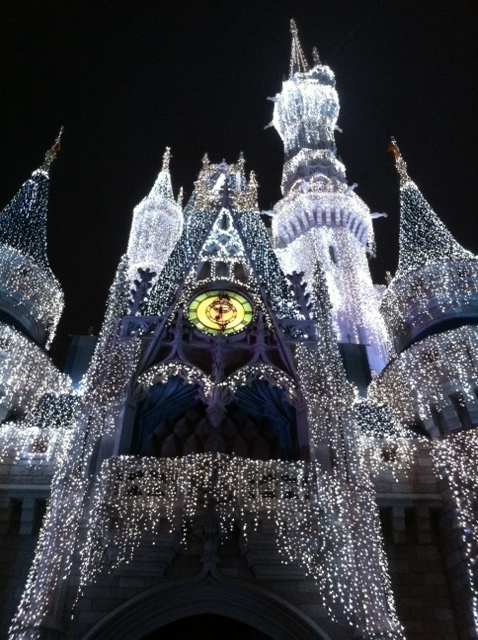 As a mother of 3, two of which being 1 year old twins, I do not find much time for myself these days and, to my dismay, I am not too hip on the latest news going on with the World, Walt Disney World, that is. I used to pride myself in “being in the loop” and staying on top of news, but it just isn’t feasible these days. I knew, with my upcoming trip, I wanted to get some additional information from more than the Internet. I wanted something reputable, and I knew this book would be a fantastic place to start. I put the children to bed, finished up the daily chores, and got comfy with the book. Needless to say, I read it all in one sitting, long into the early hours of the next morning. I could not get enough of the detailed information and color photos. ALL of the photographs in their books are in full color and taken by the authors – how amazing is that? I found only one Tinkerbell-sized error in the book and that was mentioning that 8+ guests will be charged an automatic 18% gratuity on their table service bills (page 360). The correct information regarding this policy is actually 6 or more guests, infants included. Onto the pleasantries, and this book is chock full of them! Julie and Mike include so many details of each and every aspect of the Walt Disney World Resort. I love how they incorporate their own preferences and opinions. I am always looking for true reviews, in lieu of basic, every day knowledge. It made me feel like I was speaking with the authors, not just reading a book about Disney. The book is laid-out in a way where you can find any topic very easily: organized by Parks, Accommodations, new information, MyMagic+, Characters, and so much more! 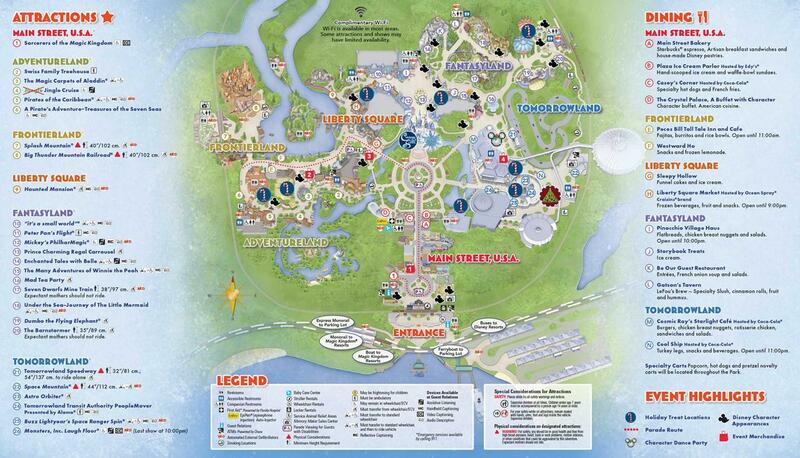 They go through the very best of each Park, and then a more in-depth review is done later within the chapter. Above and beyond the detailed explanations of each attraction, you will find Hidden Mickey tips and other special secrets. 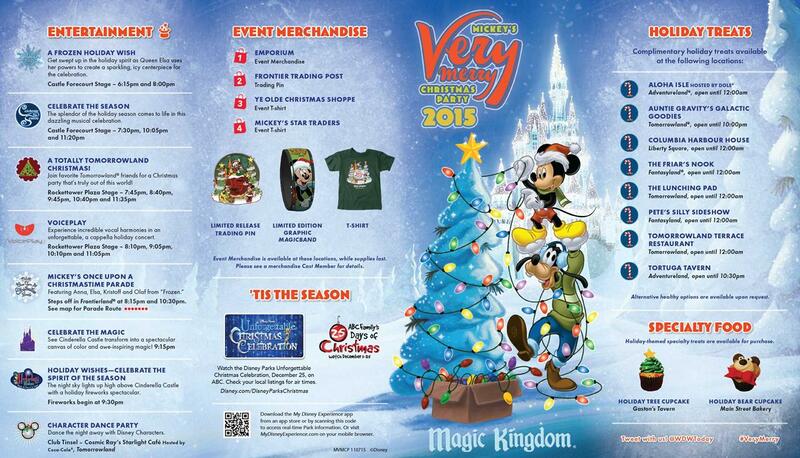 Personally, I am a fan of the Tips and Facts – you can never soak in enough Disney trivia! There is also other useful information, such as approximate wait times based on time of day, and an example of the best course of action to conquer your Park day. With their vast Park knowledge and experience, I would bet that their plans are top notch! There truly is not one piece of information you will NOT find in this wonderful book. From where to find ATMs to where to eat the best steak. It is easy to find the information you are looking for, as well, if you are not keen on reading the entire book (although, I do not recommend that). Each section is color-coded, there is an A-Z section that approaches almost every relevant Disney subject, and, finally, an index at the end of the book to direct you to the exact page discussing the topic you are looking for. I would recommend this book to each and every person, Disney-newbie or veteran, young or old. I have read many different Disney travel guides, books, trivia and, so much more, but this is the very best of the best. They have kept up with the very latest information, and you seriously cannot beat their tips and advice. Children will love to read this book along with you and learn all about the attractions before experiencing them. You will be able to help them get an idea of what to expect before the trip, plus there is information regarding scare factors. Not that you’ll need help doing so, but this book will increase your excitement about your upcoming trip! You won’t have to worry about whether the information is up-to-date, because these books have been coming along yearly for quite some time now, and I do hope they continue! You can purchase their books online at Amazon and Barnes & Noble. 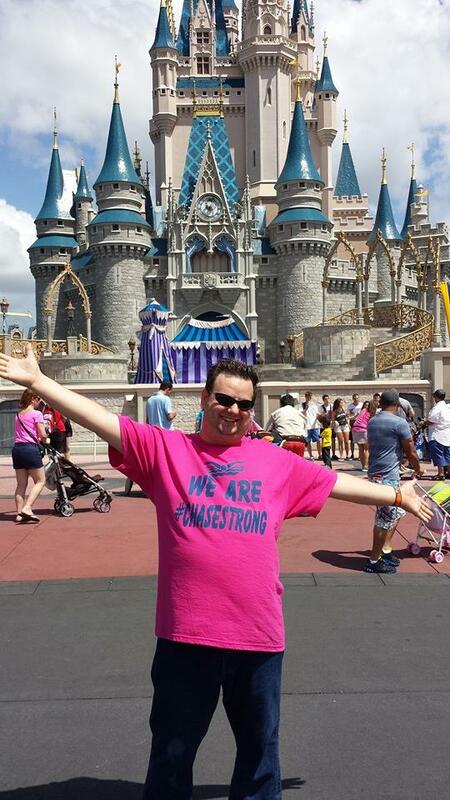 What do Disney, sweet treats and poop have in common? Our favorite topics of conversation! 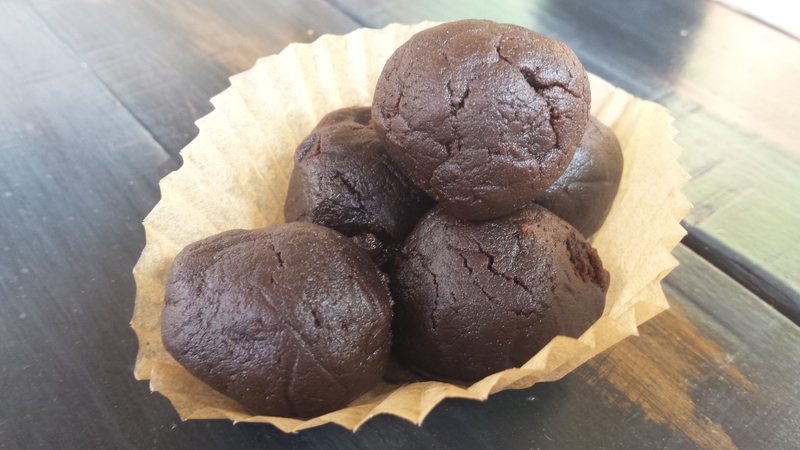 When we heard there were new treats at Disney’s Animal Kingdom, and they look like animal poop, of course we had to find out more about them and better yet… taste them! 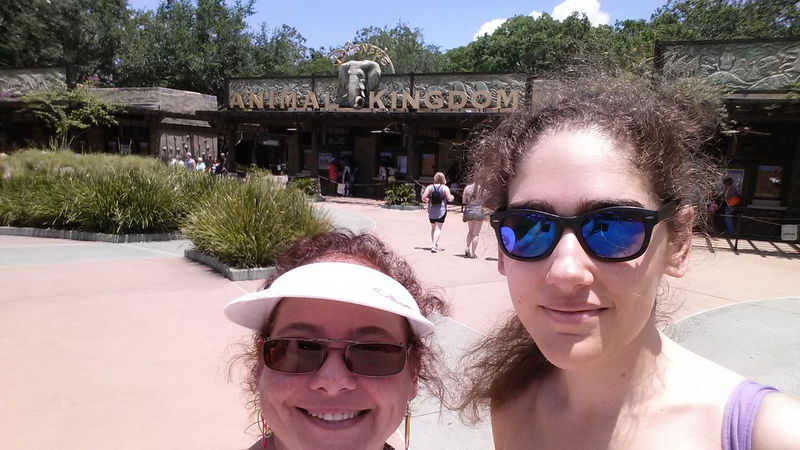 So we started our journey by arriving at Disney’s Animal Kingdom then made our way to Africa. 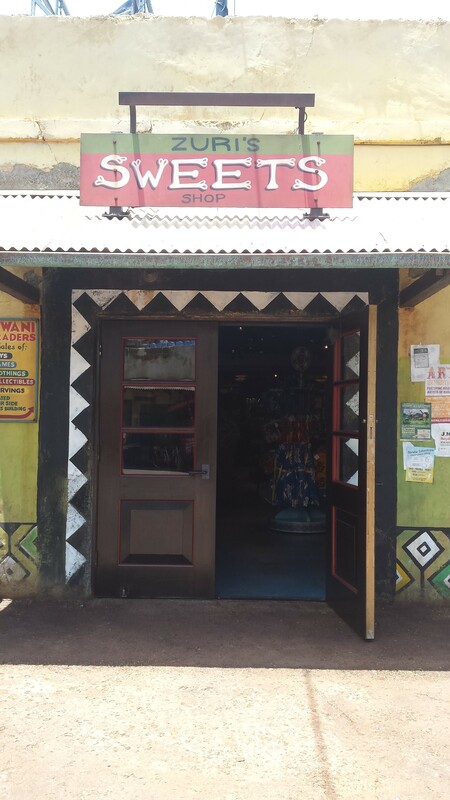 We then found the location… Zuri’s Sweets Shop right across from the new Harambe Market. 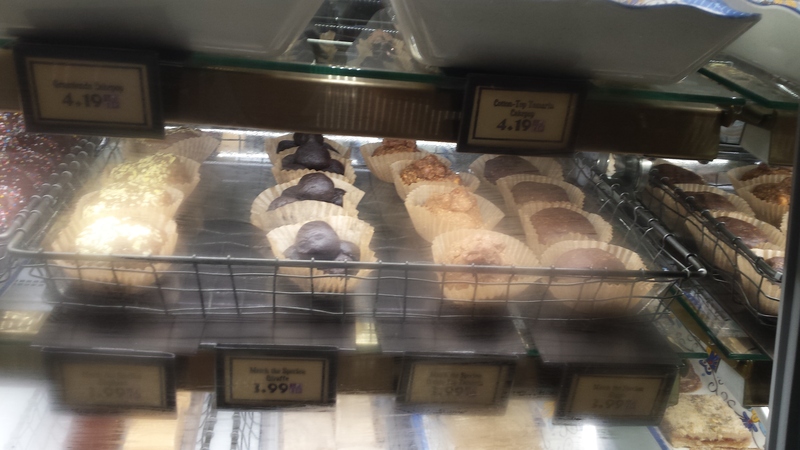 And there, among the other sweets… Match the Species Treats (animal poop)! 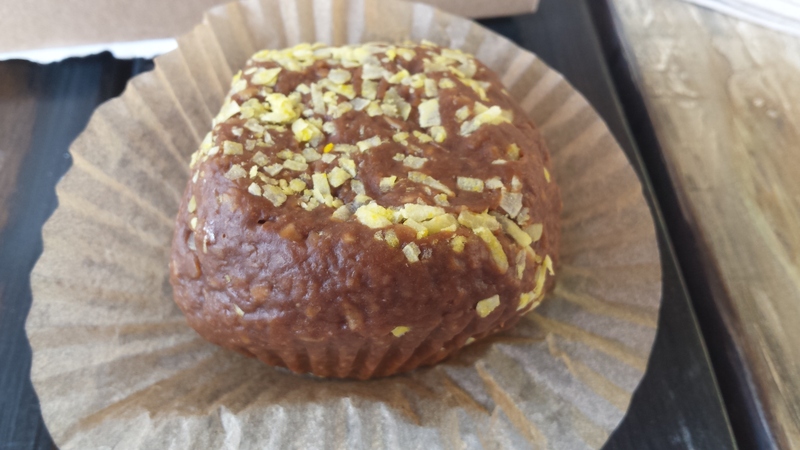 Elephant Poop: Chocolate peanut butter fudge with sweet rolled oats and yellow coconut flakes. A: To me it tastes like peanut butter and coconut. It’s a bit hard to bite into. 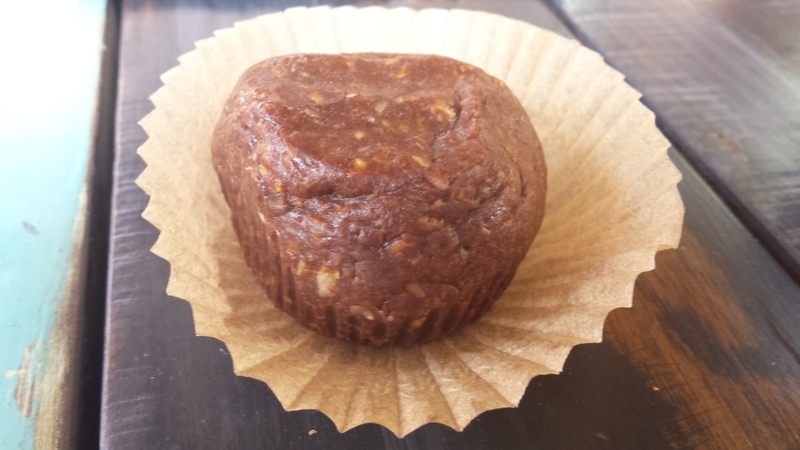 Hippo Poop: Chocolate fudge caramel brownie with peanut butter and rolled oats. J: Very similar taste as the Elephant Poop, except for the coconut. Also dense and cakey. Feels a bit heavy when you pick it up. A: Same thought, very similar to the Elephant Poop. 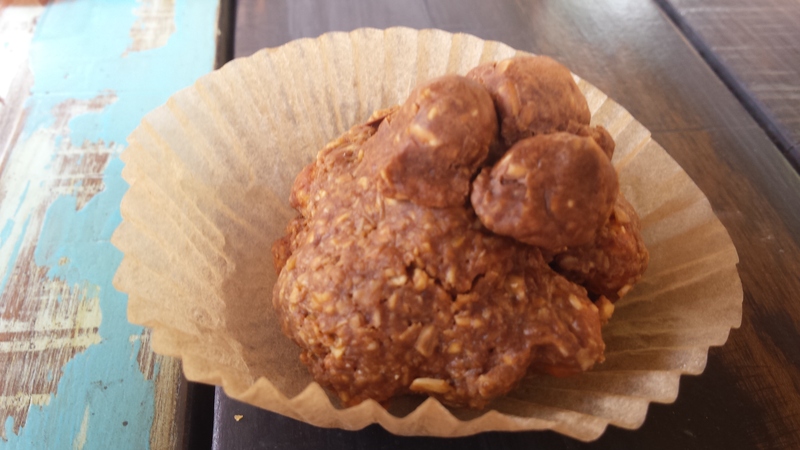 Cotton Top Tamarin Poop: Pretzel pearls coated in chocolate peanut butter fudge with sweet rolled oat flakes. J: Again, similar taste to both the Elephant and Hippo Poop, however this one is harder to bite into. A: Also similar taste as the two above, however this one has that extra pretzel taste. Watch your teeth… hard to bite into. Giraffe Poop: Rolled chocolate fudgy brownie and freshly made caramel. J: This one was my favorite. Soft brownie texture and more of a chocolate taste. A: I liked this one the best as well. Soft and rich. In conclusion, although it’s a bit disappointing that three of the four tasted almost the same, this is definitely a fun thing to get if anything for the topic of conversation and it definitely will be fun for both kids and adults! Jacquie is an annual passholder and Disney fan who visits the parks often with her oldest daughter Amber. She is a freelance social media strategist, consultant, advisor, and content creator for Living the Dream Podcast. Amber Montes de Oca is a huge Disney fan. She’s an annual pass holder and loves to visit the Disney parks often. Her hobbies are singing, acting, and drawing. She has a BA from the University of Central Florida.